With two and three year old daughters, Ratatouille by Pixar, is the most frequently watched movies at our house (next to Frozen). There are countless reasons why this is an incredible movie for all ages, but the central theme “Anyone Can Cook“ offers an important lesson we want our girls to learn early. Similar to cooking, the interview process requires hiring teams to choose the right combination of ingredients (hard and soft skills) that will make the best hire. But because every interviewer has their own palate and perspective, the hiring process, like cooking, quickly becomes complex. A recruiter’s perception (taste) of a candidate’s experience (flavor), or what stood out on a phone screen, will never compare with a hiring manager sampling a candidate’s answers first hand. A Recruiter or company employee takes the initial phone call with a candidate and uses the ‘interview script’ chosen by the hiring manager. Each interview script includes 4-5 advanced interview questions that are specific to the role. These can be the same questions usually asked by a hiring manager. After the phone conversation, the interviewer shares live audio excerpts (just 2-3 minutes) from their phone conversations. By listening to a few audio clips of the candidate’s answers, hiring mangers quickly hear a candidate’s personality and domain experience, more than scribbled notes ever could. Hiring Managers can quickly decide if a second phone interview is required, or if they should skip directly to on-site interviews to accelerate the process and create a better candidate experience. If managers like what they hear, they can get back hours of their day and also save candidates time by removing redundant conversations. Now when a hiring manager or client doesn’t agree with a recruiter’s assessment, there’s evidence to show them why the candidate is a great fit for the role. Interviewing isn’t just about asking the right questions, but knowing a great answer when you hear it, and effectively communicating what was said to the hiring team. For the first time ever, there’s candidate data (interview evidence) to discuss and to build trust. Honeit Phone Interview Technology makes it easy for employees across the company to perform effective candidate screens and share real-time candidate data for faster collaboration and higher quality hires. 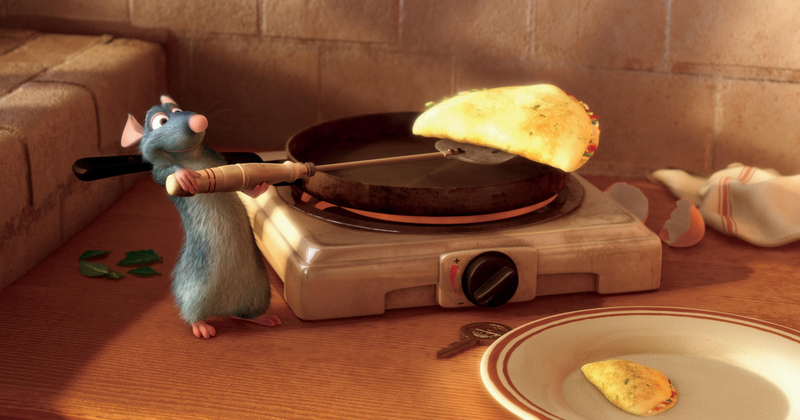 // The image is above is a screen from the Pixar movie, Ratatouille – a must see with our without kids.